With the weather cooling down, now is a perfect time to enjoy the outdoors while getting some exercise. If you’ve never disc golfed before, it is a fun, exciting variation on both frisbee and golf. The idea of the game is to launch your frisbee (disc) from a set starting point, like a tee, and make it into a standing metal disc receptor, the hole. Just like in golf, there are par shots, plus and minus shots. More difficult holes may have a par 4, while most shots have a par 2. Most courses are 18-holes and offer a great range of scenery and different terrain, making the game exciting and challenging. 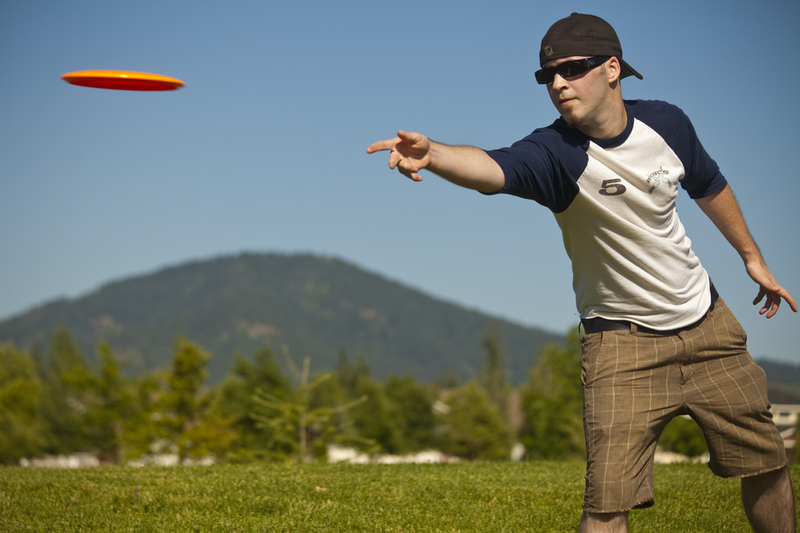 Coeur d’Alene has three main disc golf courses, and if you venture into Post Falls and Spokane, you can find many more. I-90 Exit 11, Go North On Ramsey Rd. 2 Miles To A Left On Dalton Ave. For 0.25 Mile. 1st Tee Near Off-street Parking Lot. Laid out in an 11 acre circular passive use park with a picnic shelter and large playground. Rolling hills and lots of trees. In Ft. Sherman Park at NIC. Flat and grassy with an abundance of Ponderosas, it meanders around the College rose garden. Challenging target placements. In summer and fall walk across the street and go swimming! Loaner discs at Campus Rec. on the lower level of the SUB. Beautiful 5 acre course overlooking a lake.Targets are barrels and tones. Mowed and maintained in good condition. Wild life is abundant. Some steep hazards but mostly pretty open. Private course – call first. Small groups best.